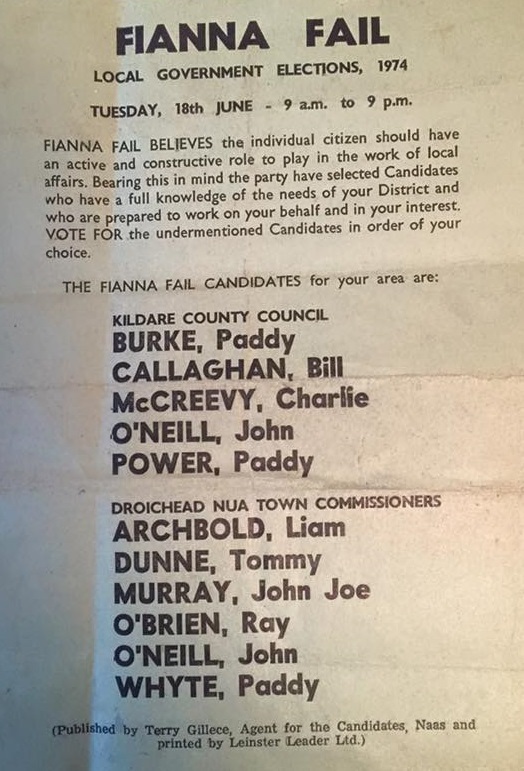 From the 1974 Local Elections a leaflet for the Fianna Fail candidates running for Kildare County Council in Naas LEA and for Newbridge Town Council. 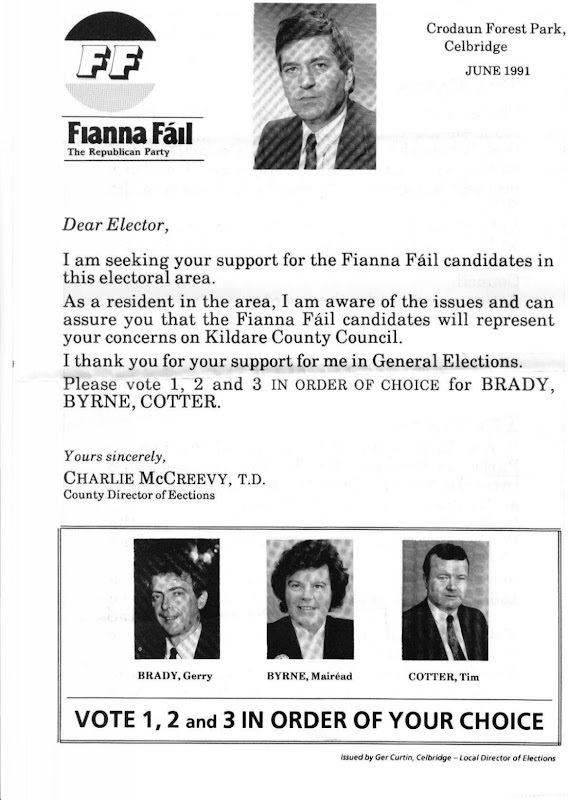 From the 2007 General Election in Kildare North, a leaflet for the late Michael Fitzpatrick. Fitzpatrick, a close ally of Charlie McCreevy was elected. A flyer from Gerry Brady looking for the Toilets in Maynooth to be replaced (Weren’t they just knocked down in the end?) and saying there’d be no Road Tolls in Kildare.